The new spot-on wormer for cats to hit the market has made worming cats easier. Whenever a new product comes to the market Petfleas are keen to address the questions it might raise and give our customers all of the information they need to make an informed decision. Dronspot is a spot-on wormer that acts fast to fight intestinal worms. The two main types of worms most likely to impact your cat’s health are roundworms and tapeworms. They are extremely hard to detect in cats so prevention is the best approach. Dronspot kills every type of intestinal worm found commonly in cats. Is Dronspot Suitable for Your Cat? How Often Will You Need to Use Dronspot? It is widely recommended that adult cats are treated four times a year (around once every three months) for intestinal worms. There are instances when these treatments may be required more frequently – for example, if you cat regularly hunts and eats mice, or suffers a flea problem. The dosage depends on how much your cat weighs. We have small, medium and large packs of pipettes available. It is very difficult to tell if your cat has worms as the symptoms are tricky to spot. There are still some warning signs to look out for. 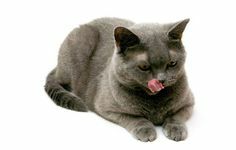 If your cat experiences diarrhoea and vomiting that could indicate worms, or of course a host of other conditions. Checking the cat’s stool and vomit might reveal spaghetti-like worms or there might be rice like segments around their bottom. 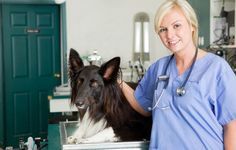 Other things to look out for are weight loss, lethargy and bloated bellies – which you would want to report to your trust veterinarian anyway as all of these symptoms warrant attention. Do I Need To Worry About Treating an Indoor Cat? Even if your cat does not step out of the house they will be at risk of worms. There are certain pests like fleas and rodents which carry worm larvae. If your cat ingests an infected flea, she or he can become infected with worms. Other animals can carry fleas into the home and people who have been around other pets can equally transport them indoors. Are There Any Side Effects Such as Vomiting or Diarrhoea? All medications carry a risk of possible side effects. If you notice any adverse effects after using Dronspot then speak to your veterinarian. Are Cats More At Risk From Worms at Certain Times of the Year? Intestinal worms can be picked up by your cat at any time of the year. Roundworm eggs, in particular, are very resilient and can survive in extreme environmental conditions for a year or more. These microscopic eggs can be picked up by your cat as they explore their environment. Can Humans Catch Worms From Cats? There are some worms that can cause disease in people. 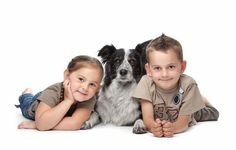 The best prevention is worming all pets to prevent any parasites being accidentally ingested by humans. If accidentally eaten the roundworm egg larvae can travel around our bodies and potentially cause disease. If absorbed through the eye, which is a rare condition, it can cause blindness. Though it is possible for these conditions to arise they are thankfully rare. A regular worming treatment will prevent these issues from ever arising.